Green Stripe Long Neck Pumpkin! 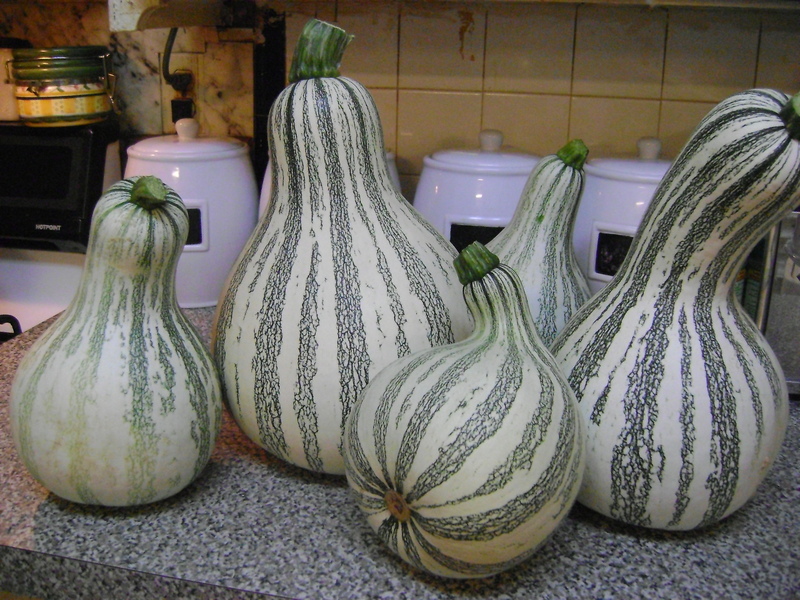 I just wanted to show off some of my Green stripe pumpkins! I just Love these! I like growing them more than eating them. My Grand Father always grew these along with other vegetables; but I just loved to look at these grow they were just so different from all of the other vegetables. My Grand Father was a farmer you name it he grew it, he trained horses ran a dairy farm; no one went hungry on the farm. I just loved going to visit my Grandparents. Now my uncles grow these and I grow them too! 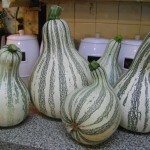 but the ones my uncles grow are much bigger and prettier! 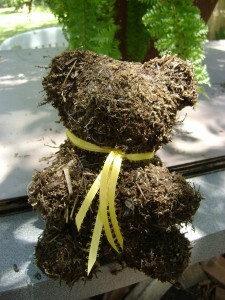 Handmade Teddy bear topiary; made by me! I learned how to make animal topiary when I applied for a job specifically looking for people to help make rabbit topiary for Easter. I didn’t know the first thing about topiary, but I was determined to learn. Every one that applied for the job had to make a rabbit topiary; of course we watched how it was made from scratch and then we had to make one. A few people left I guess they thought it was going to be easy! I tried my best! I really wanted the job! I went home after that. I was told they would call and let me know. I couldn’t wait much longer after the first day, so I called! The owner said you really want this job? I said yes! So he hired me! I learned a lot there. I don’t work there any more but I keep in touch! They were great people to work for!